I posted this to Reddit last week but figured I would throw it here for better archival purposes. 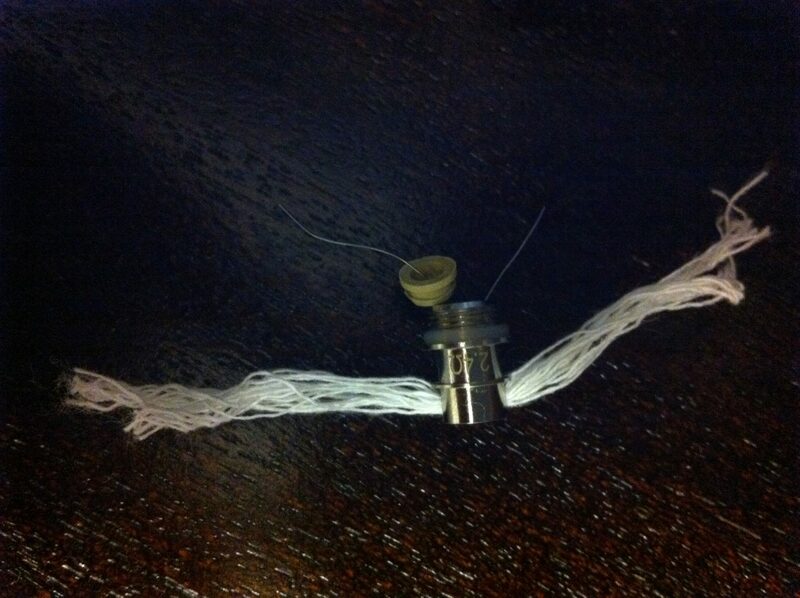 Here are instructions on how to rebuild a Vivi Nova with a cotton wick. Hit The Jump for the full details and step by step instructions. 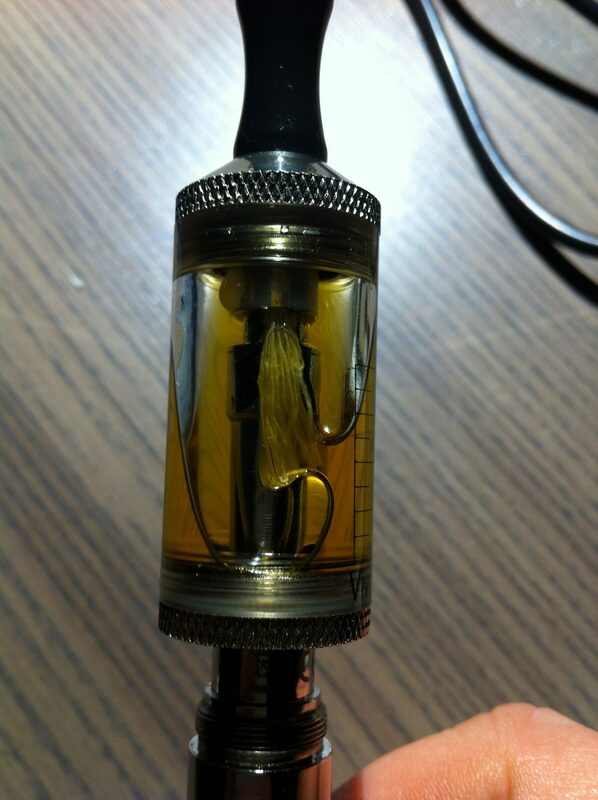 I recently was re-wicking my Vivi Novas with cotton wick and noticed that the flavor was really muted. I tried long variations and short variations. I just could not figure out what was going on with it. I was going to change to using silica and figured I’d give it one last go. 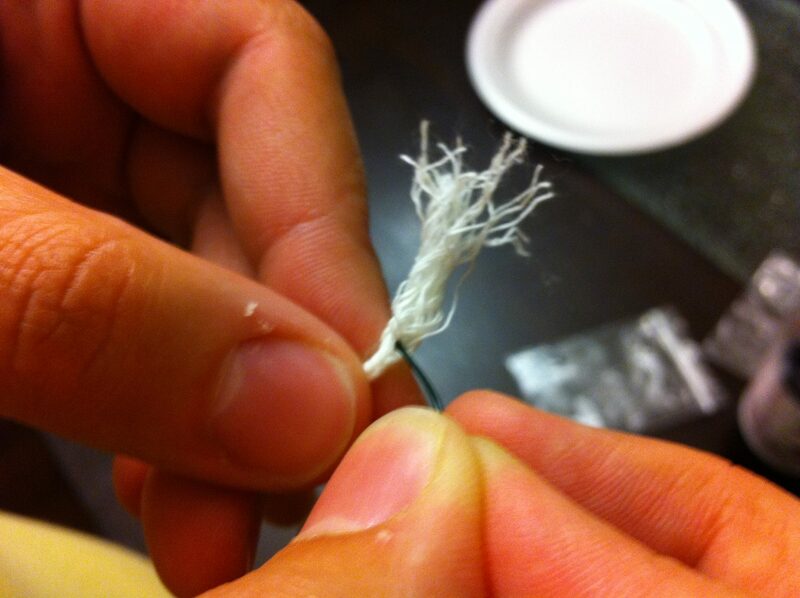 The cotton just seemed really thick so I decided to “de-braid” it. I figured this would make it far less dense and gives the juice a little more room to move. I did this tonight and I can honestly say that it has improved the flavor immensely from the braided wick. The flavor is remarkable! 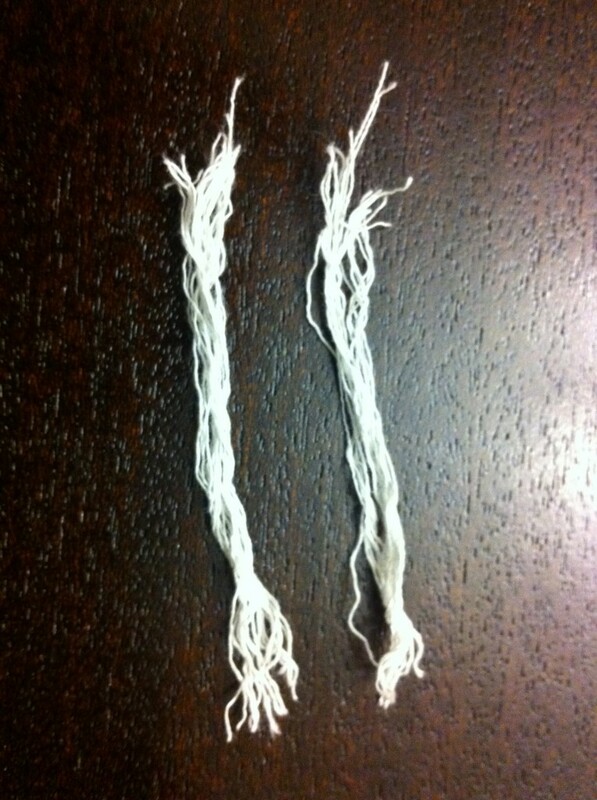 This is the old version of the cotton wicks I was using. The flavor of my e-liquid was muted and something was just off. I believe the wick to be too dense. Grab something straight and sturdy. A paperclip will do. 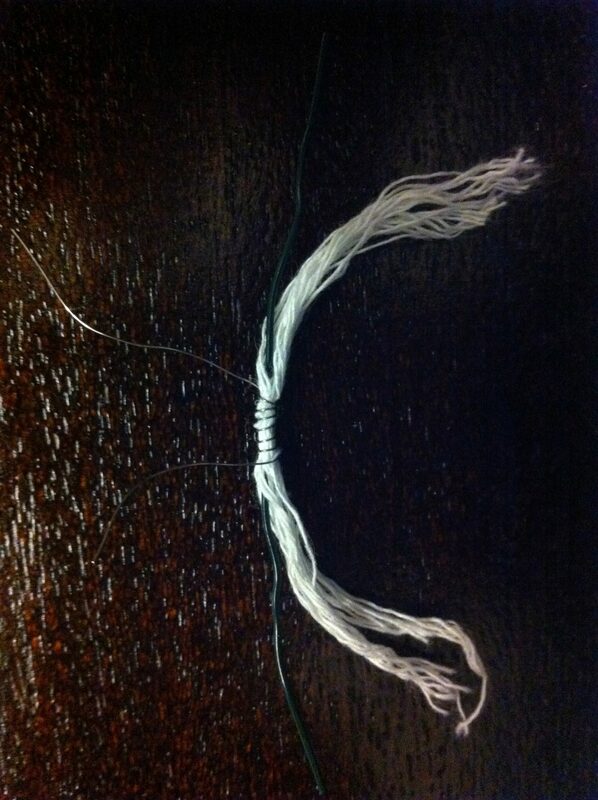 Begin by cutting a piece of wick and then fray it with your hands at the end. Then using your sturdy object and begin to “de-braid” the wick. 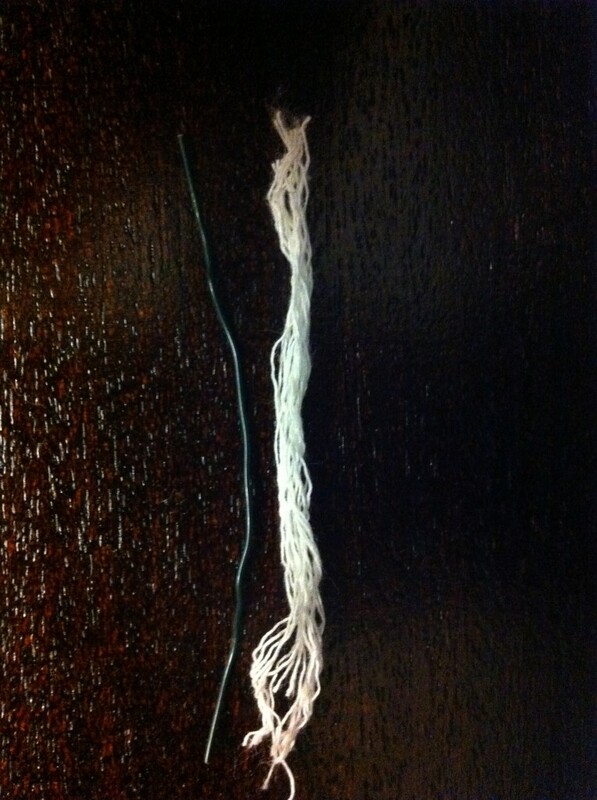 At this point you can separate the braid into two piles. You now have two groups to be used for wicks. Use the same sturdy object to keep the wick straight and leave a little room for the coil. 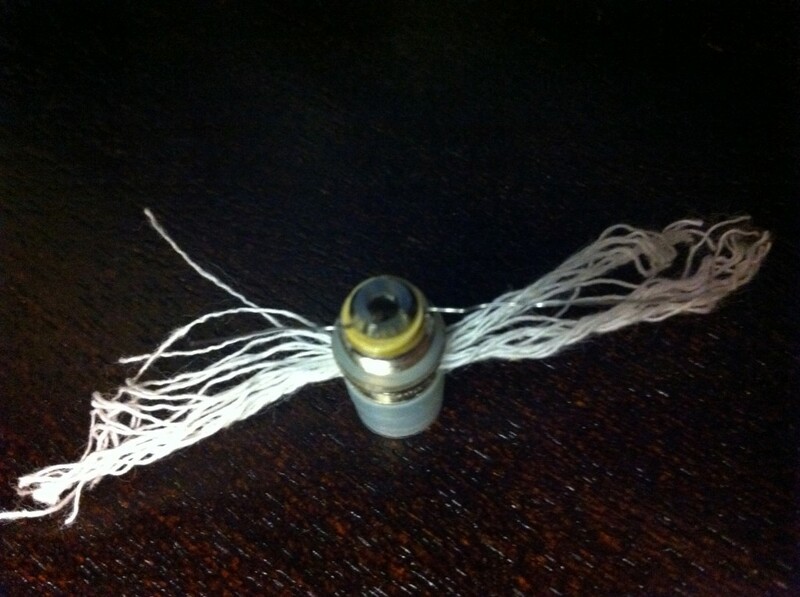 Wrap your Kanthal wire around the wick and, with the sturdy object still in place, arrange the coil neatly and space it as best you can. 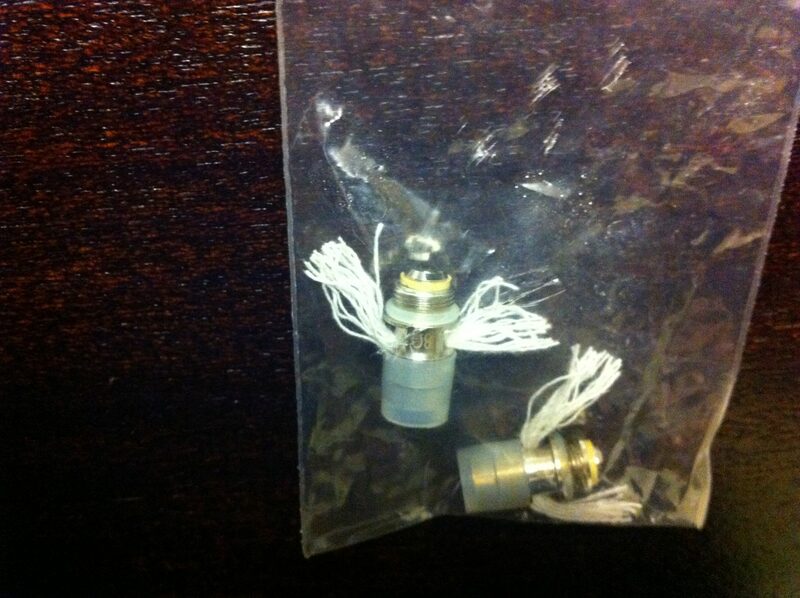 I usually do around 5-7 coil “lines” to reach a desirable Ohm rating. 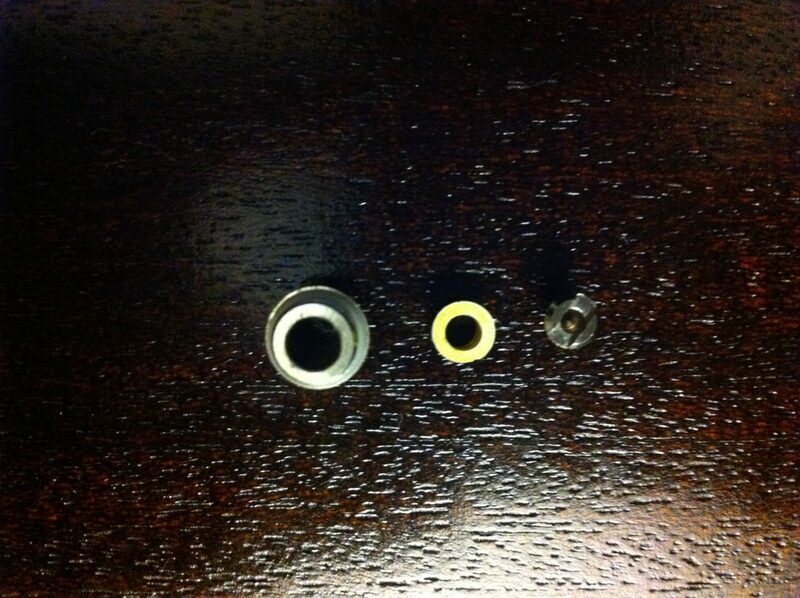 Grab your atomizer hardware, pull out the metal pin and the rubber grommet. This leaves you with 3 pieces. 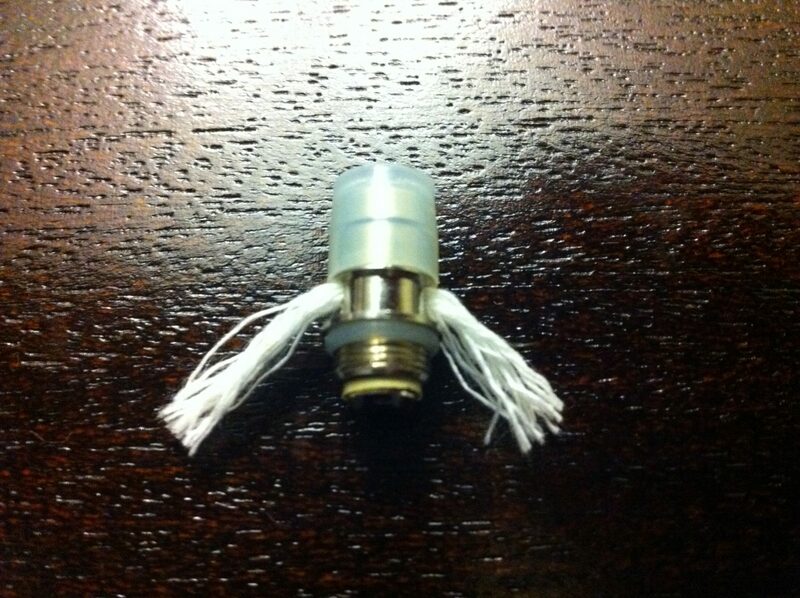 Place your new wick and coil in the hardware. 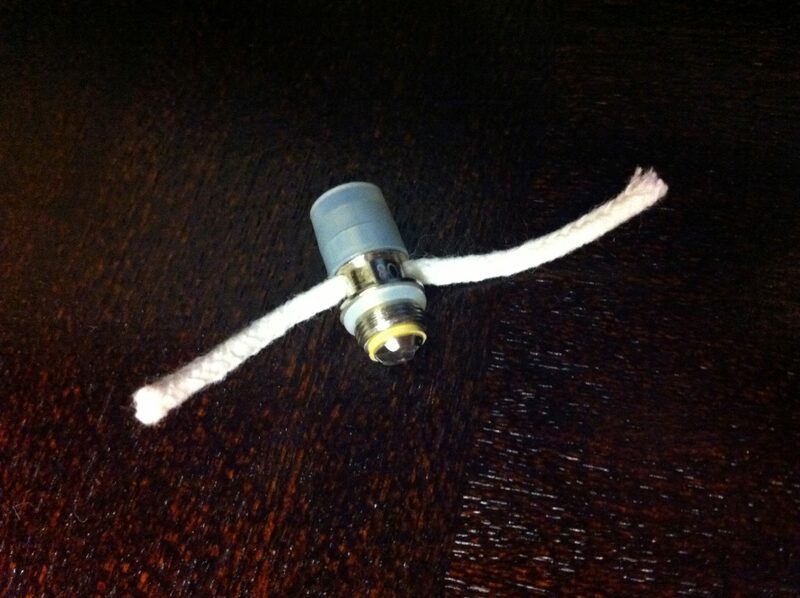 Place rubber grommet around one of the coil lines and press it in, trapping one wire between the rubber and the outside. Replace center pin, trapping the other wire. 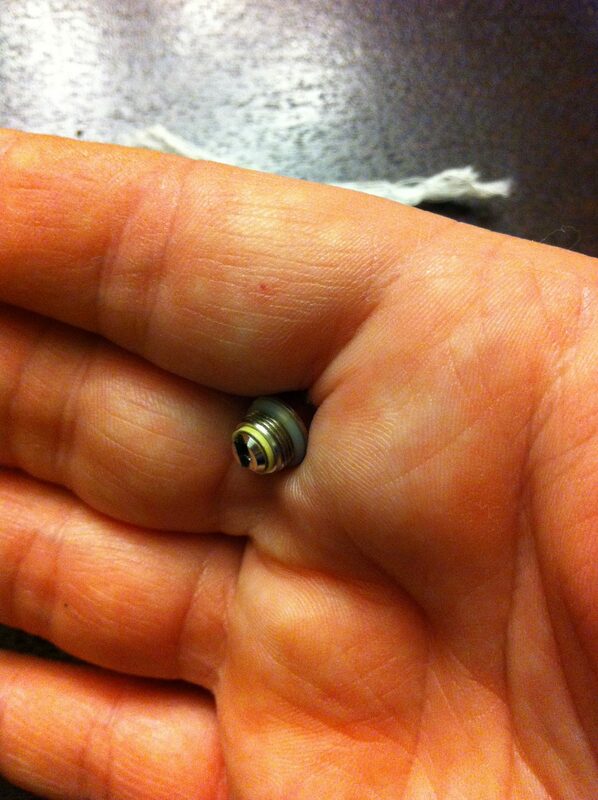 At this point I place the whole unit straight up and down between my thumb and finger. I then grab the wires and turn them like you would a crank. They will snap neatly off. I prefer a shorter wick. I trim mine off but you can leave them long. Bag em up! You now have two new wicks! It’s a beaut. Flavor is far superior to the braided wick and is now not muted. This is an excellent vape and it only takes about 10 minutes to rebuild the wick. I find I spend the most time getting the coil lined up and spaced really well. 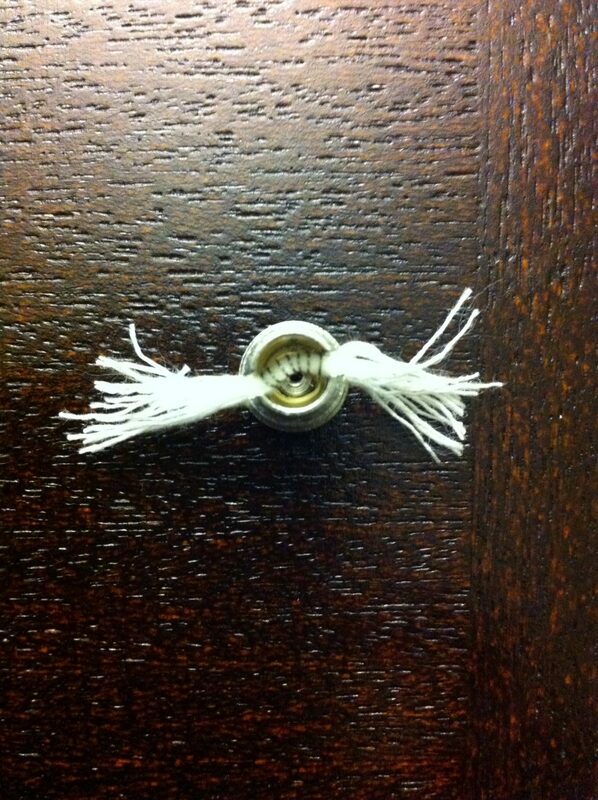 I use this cotton wick from Amazon. It’s $8 for 30 ft, but if you “de-braid” it you can double or triple that length. As always, you should boil the cotton for 15 minutes and let it air dry completely. Also, the cotton needs to be wet, so no dry burning or you might set your house on fire.